The Georgian House is a charming hotel located in the centre of London. and was constructed in 1851 by William Chinnery Mitchell, who was one of three master builders. The hotel was originally built as family houses, three in a row, and they would have been owned by wealthy traders and professionals. The accommodation is provided in two buildings, with the main reception in St George's Drive. There is a second smaller building, The Bower House in Cambridge Street adjacent, where the first class rooms are luxuriously furnished. The rooms are beautifully decorated with period pieces keeping with the tradition of the building. In 1989 the manager was showing a visitor around the hotel. During the tour the manager was embarrassed by the racket of children running, shouting, laughing and banging the fire doors. The receptionist was asked to tell the parents of these children to be quieter and more considerate. However, no guests had checked in yet that day, and there were no children staying in the hotel. The ghosts of the two children have also been seen on the upper floors. On one occasion a manageress even held a conversation with them and assured them that, since the Georgian House is a friendly and hospitable place they were more than welcome to visit, but she asked only that they confine themselves to the upper floors since their presence on the lower levels might prove disturbing to their real life peers. In 1991 a new member of staff needed to stay in one of the guest rooms, before moving into staff accommodation the next day. She was extremely upset with the manager the next day as she thought a copy of her room key had been given to someone else. She said that she woke up in the night to see an old man sitting at the foot of her bed. He had simply stood up and walked out of the room. No one else had a copy of the key and the old man was not staying at the hotel. 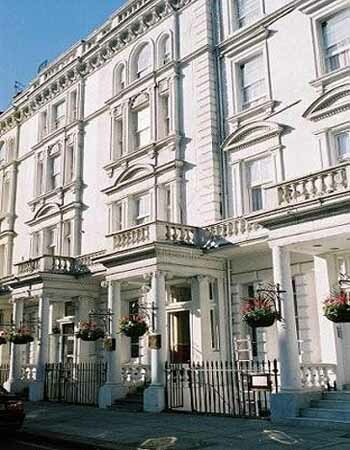 In 1998 decorators working in the same part of the hotel reported icy blasts of air and said that they could feel a strange presence in the room. In 2007 a member of staff said that she heard a group of people laughing and talking in the dining room. When she investigated there was no one in that part of the hotel at all, this happen several times. In 2008 the night porter heard foot-steps going up the stairs and around the corridor. He followed to check who it was, but the corridor was empty. The ghost of an unknown man has been seen in one the basement staff rooms by several members of staff. Whether or not this is the same ghostly figure that has been seen in the kitchen and one of the top floor bedrooms is unknown. The apparition usually makes itself known by lowering the temperature in the room. Rumored to be the most haunted hotel rooms at the Georgian House Hotel are 10 and 12.